Sir Thomas Finney, OBE (born 5 April 1922, Preston, Lancashire) is a former English footballer, famous for his loyalty to his league club, Preston North End, and for his performances in the English national side. Sir Tom Finney is also the current President of Kendal Town. He was appointed an Officer of the Order of the British Empire (OBE) in the 1961 Queen’s New Year Honours and a Commander of the Order of the British Empire (CBE) in the 1992 Queen’s New Year Honours and was knighted in the 1998 Queen’s New Year Honours He retired from Preston North End in 1960, only when forced out with a persistent groin injury. He had played his entire career for his local club, appearing 433 times and scoring 187 goals. On 31 July 2004, Sir Tom unveiled the water feature sculpture “The Splash”, by sculptor Peter Hodgkinson, which stands outside The National Football Museum. 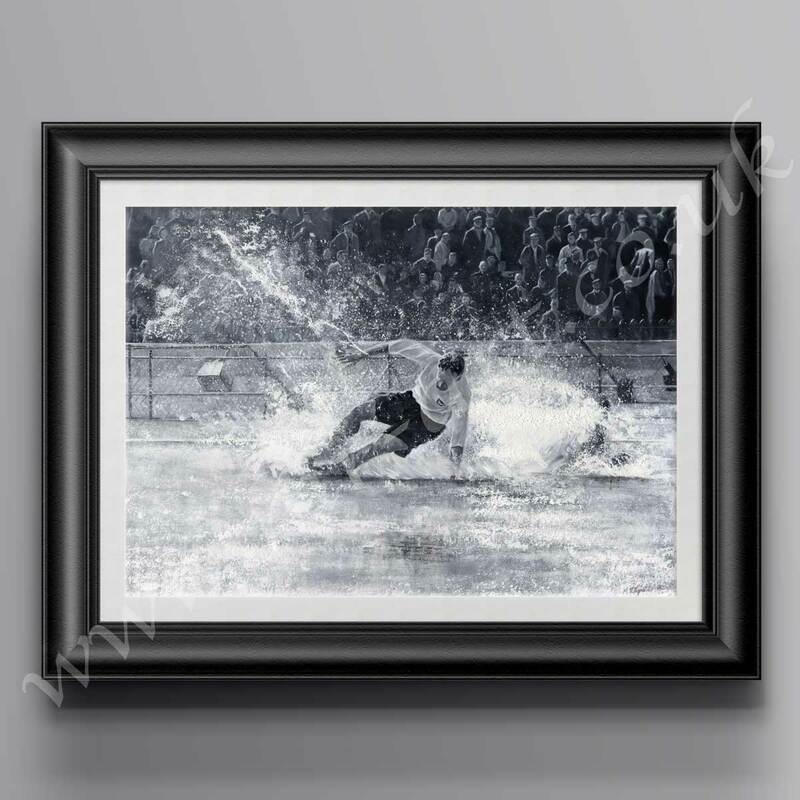 The sculpture was inspired by the 1956 Sports Photograph of the Year which features Tom Finney beating two defenders at a waterlogged Stamford Bridge.